Level Ubiquity | Being Ubiquitous. BlackBerry although not as tasty as Apple, has shown us what it can do with that QWERTY keyboard. This new image of the BlackBerry N-Series has surfaced, showing us that BlackBerry can still run in the smartphone race. Although a rumor, this image is probably real, as we’ve been expecting it for a while. If you’re one of those people who despise on-screen keyboards, get ready for January 30th, where you’ll get hear some more about this eye candy. 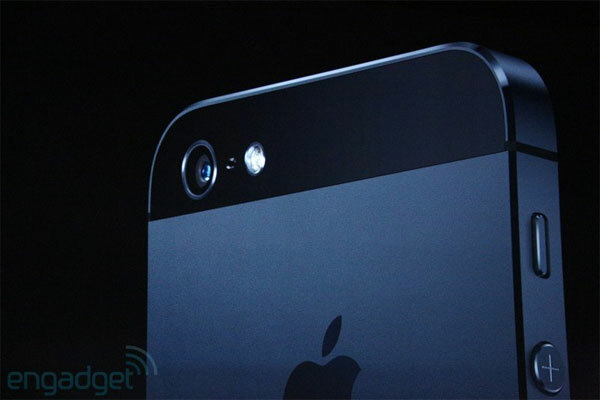 iPhone 5: Will become a disappointment or a complete success? Apple, a technology giant that has gained a loyal army of fan boys (or girls), has released another iPhone. Whether you’re completely Android exclusive, or a Windows die-hard fan, you’ll still be watching Apple giving birth to another iPhone. Throughout the logic of buying smartphones, you’ll almost always consider the iPhone in your equation. However, before you get to that point, when will you decide to jump ship, and embrace another phone? Cracking the iPhone dilemma is a hard task. Regardless of your previous beloved phone, you’ll always think of the iPhone dilemma. Whenever, the new iPhone is released, you’ll ask your brain whether you want to upgrade or not. Apple, is always trying innovative ways to get you to jump phone every time they release something. Their success relies on one thing only. You. By comparing where they set their last bar before, with the previous iPhone, you’ll think to yourself, is this a game changer. Apple will of course claim so, but you need to think harder. How will this change your life, not theirs. By looking out of Apple’s walled garden, you’ll see a sea of other choices. All beautiful in their variety, and creativity. You’ll be tempted to leave, but one thought is keeping you at bay. What about the next iPhone, it will be surely better, no? This thought is Apples anchor, as they usually (not always) reinvent the new. However, betting on the future, and thinking only about how Apple is going to, is not a solution. If you take just a small peek at the sea of smartphones you’ll notice how you can have your dream phone now. All you need is the strength to jump, and not look back. While looking at all the evidence held in front of you, you’ll be required to make a verdict. Will the new iPhone 5 become a disappointment or a complete success? To find that answer you’ll need to dig just a little deeper into your brain. By looking at the human psychology, we’re always lazy, for the good and for the bad. So switching to a new phone takes effort, that we try to avoid committing too. However, if you look at the other hand, you’ll find yourself completely loyal to your superiors (Apple fanboys), as we were taught to be from the first time we spoke. From all that information, you’ll surely make a right conclusion, if to jump ship, I hope. Smartphones are one of the main things in our lives. Making sure were always available virtually, when our computer is out of reach. The difficult part is getting the best smartphone at the lowest price. You’re stuck between buying the latest model, which in a few months will become history, to buying an older model that’s not always just what you need. Getting out of the game with the feeling of success requires some skills. Releasing an exceptional smartphone requires a lot of effort and a great deal of time. Only the best players in the game can reach that requisite. From Google to Apple and everything in between, you’re looking at a lot of smartphones that are begging you to purchase them, particularly if their newly released. Picking a higher-end model that was released about a month ago, will most likely provide you with the fastest solution and the biggest hit to your wallet. Personally choosing one will require you to pick between your favored operating system (Android, iOS, or Windows), and balancing in your head, whether a high-quality camera is worth it over a bigger screen. This will not be your last choice, as the choice between carriers can limited your smartphone selection. Keeping all of that in mind, running out of the store with a state-of-the-art phone, won’t always satisfy your needs, as you would have possibly thought. Smartphones that have made history, will usually stay in history. However, having the latest version isn’t always necessarily better. While sifting through the sea of smartphones, you’re always trying to find a balance between how hard your wallet takes a hit and how slow will it take your phone to perform your tasks. Smartphones that were released a few years back loose almost ninety percent of their value. If you look at what they did compared to what today’s phones can do, you will understand why. This doesn’t mean that buying a smartphone that was popular back in the day, won’t suit your needs today. The only question that needs to be asked is what your needs are. Unless you’re wasting your whole day playing video games and watching movies, you won’t necessarily be disappointed at an aged phone, as one would expect. Making a smart purchase is mostly based upon on how well you know your needs. After researching the market you will need to make a dashing choice. This choice will rely on you and your budget. If you try to balance all the information together you will probably end up concluding that purchasing last year’s model, will provide you with the best technology versus the smallest hit to your wallet. By looking at newly released smartphones and their predecessor, you will find that after a year or so they’ll take around a fifty percent hit on their price. This means that you’ll be able to find the best ratio between your wallet and your needs (wants?). Hopefully throughout this article, I have educated you on how to play the smartphone game successfully. iPhone 5 is officially released (LTE and more)! After months of rumors, speculations, and more, the iPhone 5 has been released. What are the new features you ask? Drum roll… The new iPhone 5 will be LTE, 8 MP Back-Camera, 1080p video, A6 CPU (2x faster then previous iPhone 4S), and of course a new connector (8-pin). And to add to that, its also, 18 percent thinner, and 20 percent lighter. Finally, the iPhone 5 also comes with a retina display (326ppi). So get ready your credit cards ready for pre-orders. The FBI has always been trying to track you statistically, whether psychically or virtually. However, the FBI has decided to step it up a notch, by putting cameras everywhere 24/7. These cameras will recognize criminals through a facial recognition system, and notify their location. The whole ordeal will probably spark some privacy concerns as they will be able to tell everything about you. But on the other hand, the street is a public space, and anyone can see you there. 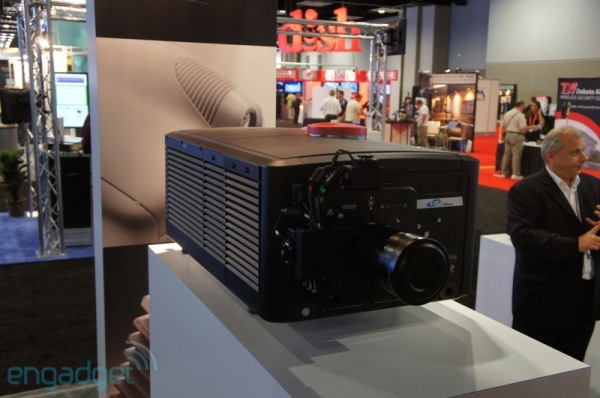 SIM2 has released a sequel to its former model, called CinemaQuattro 4K DLP projector. This project is one of a kind, as its price matches the price tag of two sport cars. At $158k you’ll get a 4K (4,096 x 2,160) resolution and a projector the size of a two desktop computers. If your thinking that this years model is a little expensive then you can buy the previous one for $58k, a steal compared to this. Apple has been building a campus building were the old HP and other campuses were. The cost of just purchasing the land has costed Apple over $300 million. This campus, Apple has decided to build will be at least at the level of Google’s own Googleplex. With this in mind 9to5Mac has acquired images on how the new campus will look like when completed. For more pictures hit the source link below.